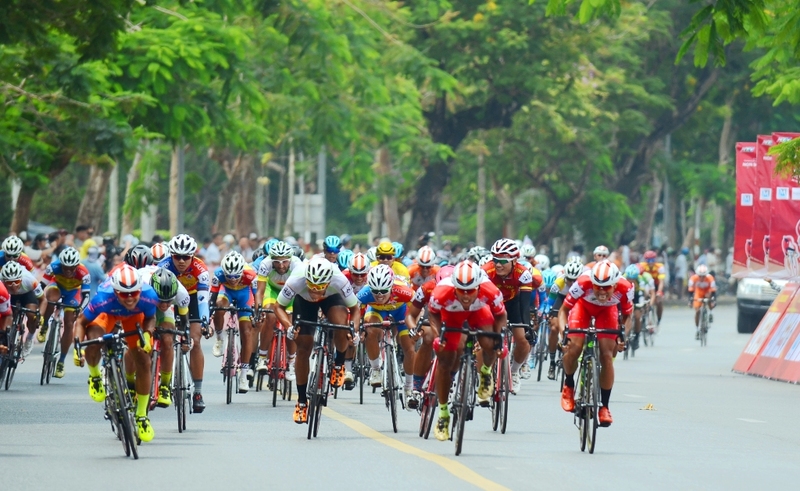 Around noon, April 15, cyclists in the third leg of the race from Dong Hoi to Hue City, in the ‘31st Ho Chi Minh City Television Cup bicycle race – 2019’ "Our country – one united strip" arrived at Phu Van Lau in the enthusiastic cheering of numerous fans of the ancient capital. In this race, after conquering the 162km route, racer Le Nguyet Minh (Ho Chi Minh City - Vietnam USA Society English Center -VUS) passed 82 opponents to become the first finisher. After Le Nguyet Minh was his elder brother Le Van Duan and Nguyen Truong Tai. Le Nguyet Minh (far left) unleashed a quick sprint when he was about 200m from the finish line. Immediately after the third leg, tomorrow morning (April 16), the competition continues with a race around the Truong Tien - Phu Xuan Bridges (Hue City) with a distance of 42km. On the morning of April 17, the cyclists commence the 5th leg of the race: Hue City - Hoi An City (140km), conquering the 3 passes: Phuoc Tuong, Phu Gia and Hai Van. 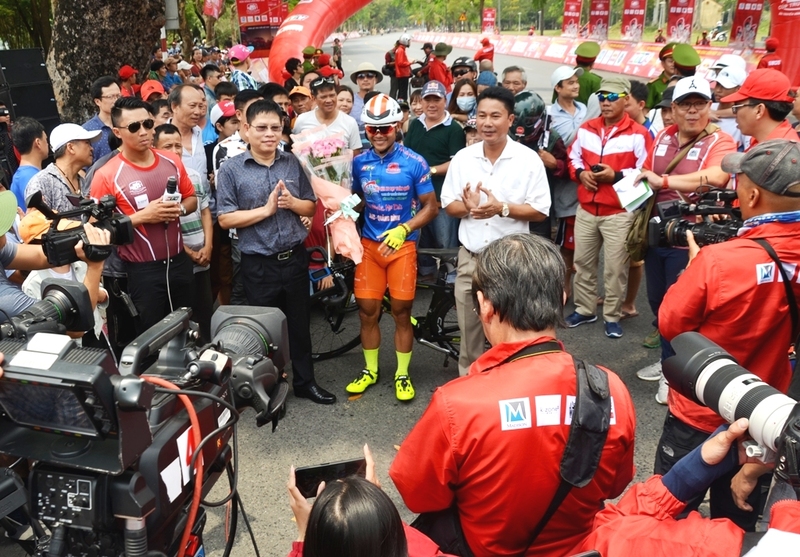 Before that, at the opening stage of the race around Vinh City (52km), with the first finish, Thanh Tung temporarily wore yellow shirt, while winning the “impressive cyclist” title for this stretch of the race. Le Van Duan wore blue shirt and Tran Tuan Kiet kept white shirt. Regarding the team title, Seventh Military Zone took the first place. VUS Ho Chi Minh City and An Giang hold the second and third positions, respectively. In stage 2: Vinh - Dong Hoi, the title of white shirt belonged to young racer Tan Dai (Binh Minh Binh Duong Plastic); the red shirt belonged to Nguyen Pham Quoc Khang (Bikelife Dong Nai); the blue shirt belonged to Le Nguyet Minh (Ho Chi Minh City - VUS); and Huynh Thanh Tung (Trisport International, Seventh Military Zone) was the winner of the yellow shirt title (the highest achievement of both races). In this stage, the team won the highest-ranking title was An Giang Loc Troi Group, the Ho Chi Minh City - VUS ranked second place, and the third place belonged to Domesco Pharmacy Dong Thap. 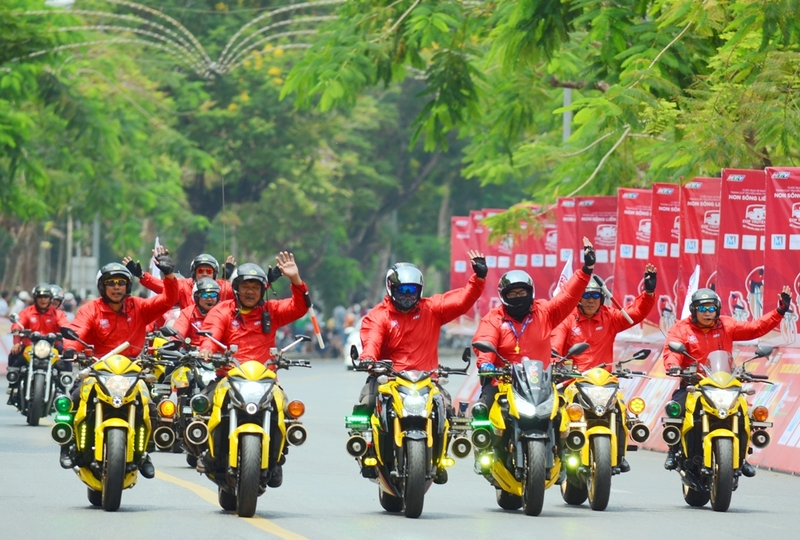 The 31st Ho Chi Minh City Television Cup bicycle race - 2019 "Our country – one united strip" witnesses the participation of 83 cyclists from 12 best teams in the country, competing in 16 stages with a roadmap of nearly 2,000km, passing provinces and cities of Quang Binh, Hue, Da Nang, Quang Ngai, Binh Dinh, Gia Lai, Tuy Hoa, Khanh Hoa, Lam Dong ... and will end in Ho Chi Minh City on the historical day 30/4.